I've been sick for almost a week but am finally on the mend! Whoo! I had a ton of things to do over the weekend but wasn't feeling the greatest so comfy/casual jeans and t-shirt were on repeat. This TOP is seriously the best $18 I've ever spent. 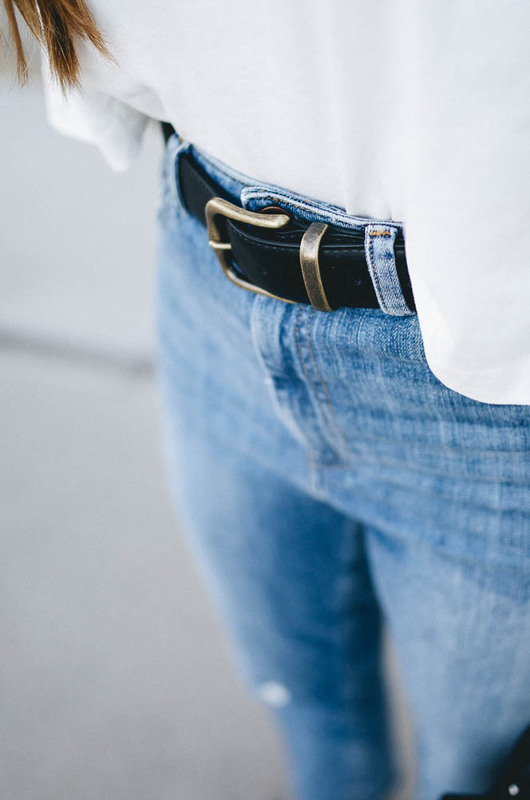 I don't have many plain t-shirts because they feel blah to me, but this one is cropped and looks perfect with high-waisted jeans, AND THE HIGH NECK. My jam. Don't think twice. Anyways, we have some big decisions to make in the coming weeks and I can't wait to share more with you guys! Hope you're all having a lovely start to your week! Love this outfit!! Especially that sweater, it looms incredibly comfy! Girl, you freaking always look so clean and chic. Seriously.. I love your style so much. 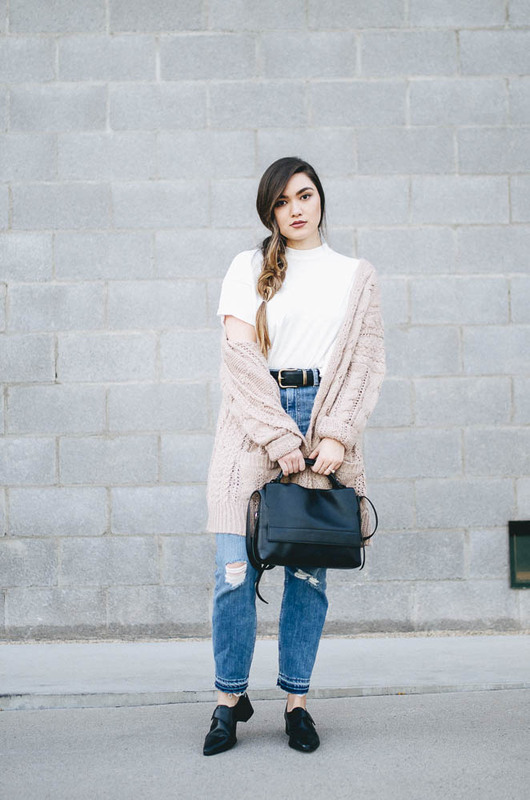 P E R F E C T outfit! Loving everything about this & you are just the prettiest! 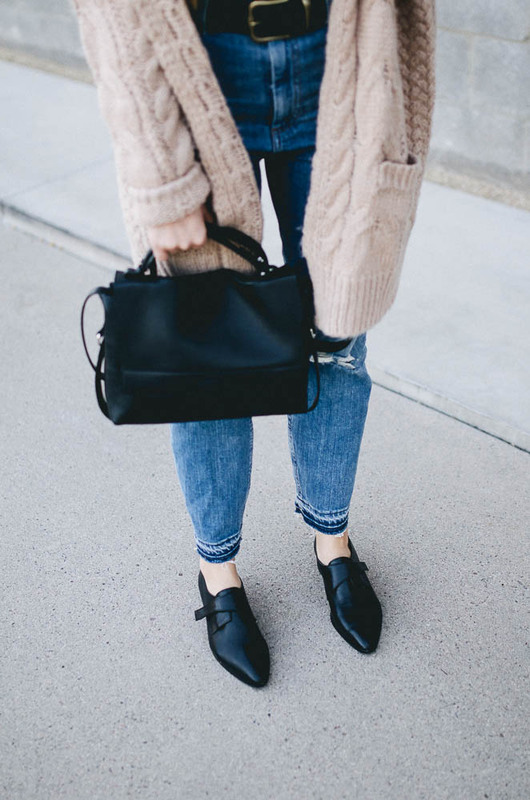 Such a perfect weekend uniform! That sweater looks so cozy, and something that I would live in. Feel better! I adore everything about this outfit! 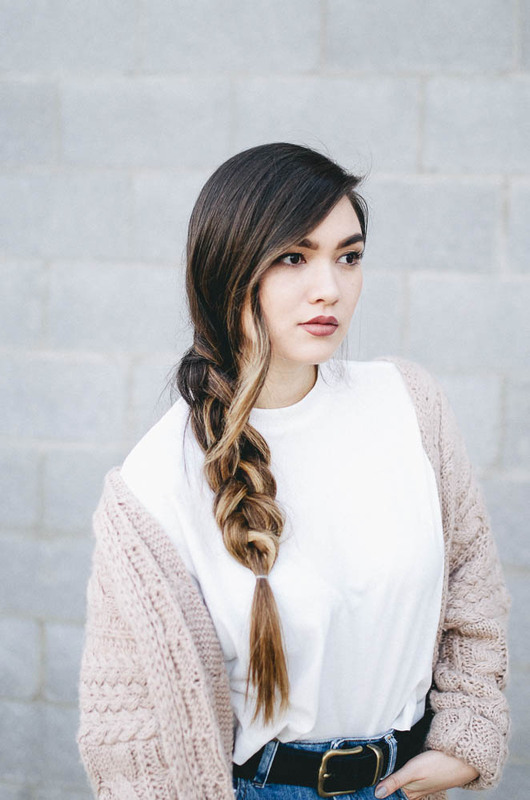 LOVE the blush sweater, and your braid is so gorgeous!